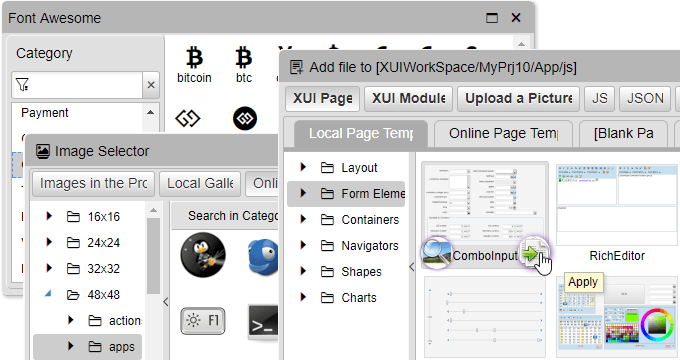 There are 10+ build-in themes to choose from - vista, classic, webflat, moonify etc. You no longer need to hire an app developer to create an application for you. 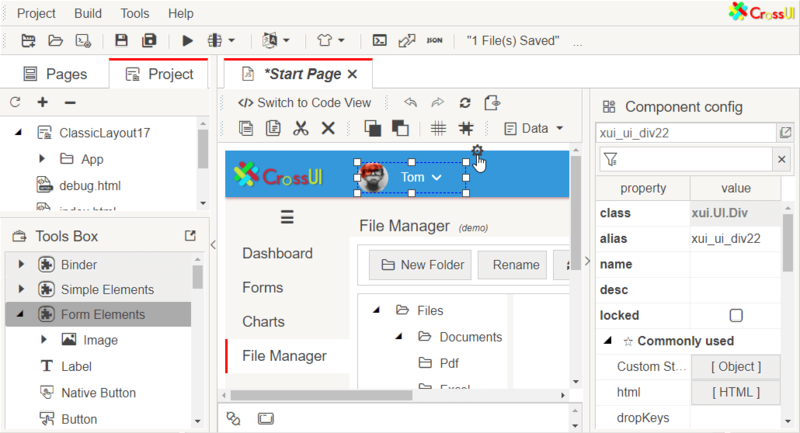 Create a fully interactive and responsive HTML5 application without writing a single line of code with CrossUI Front-end Builder. It’s much faster, easier and more fun to do app development without coding. Just choose the necessary template, modify all the elements you need and launch. 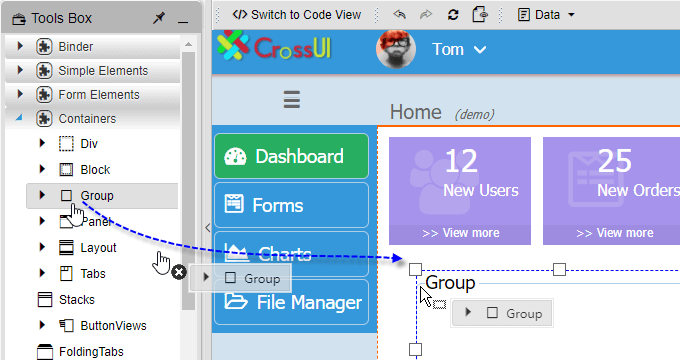 Whether you need to create an interactive prototype, database management app or build a management information system, you can do it with the Cross UI app builder within several days. 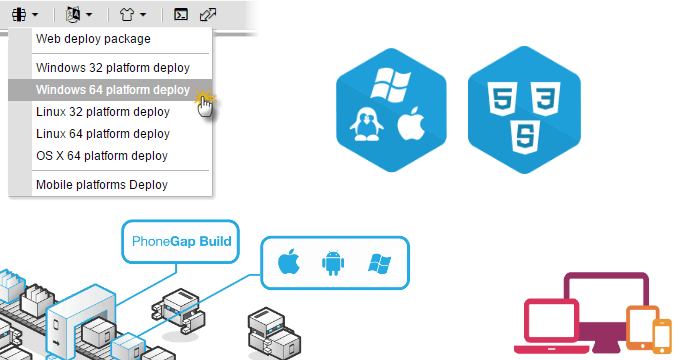 - Use built-in templates relevant to the type of application you want to build. - Drag and drop the objects to the desired location. 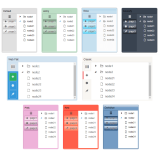 - Use and edit 100+ UI widgets. 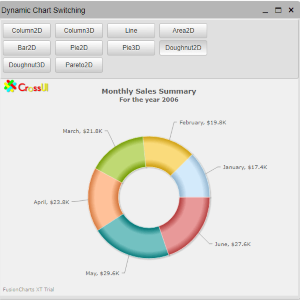 Among them are buttons, inputs, lists, tabs, shapes, diagrams, charts and other. 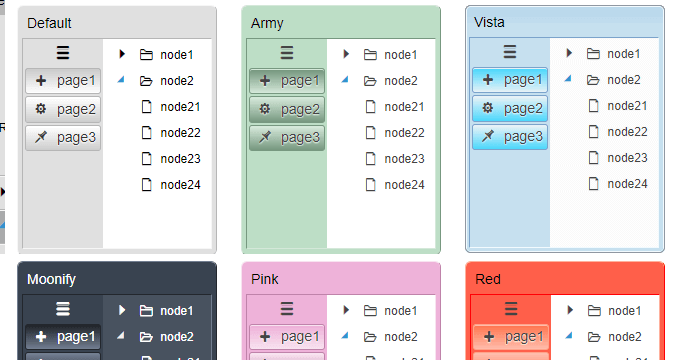 - Create customized reusable modules. 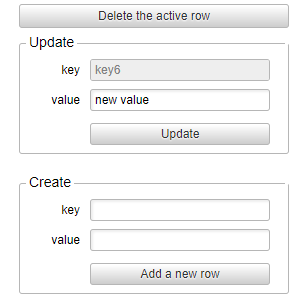 - Bring in interaction by using events actions that can be easily configured. 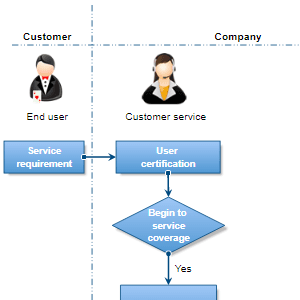 - Call Remote Service EndPoint. No coding is required. - Publish your app where you want, on any desktop (Linux, Windows, Mac PC/Mobile), or any website. 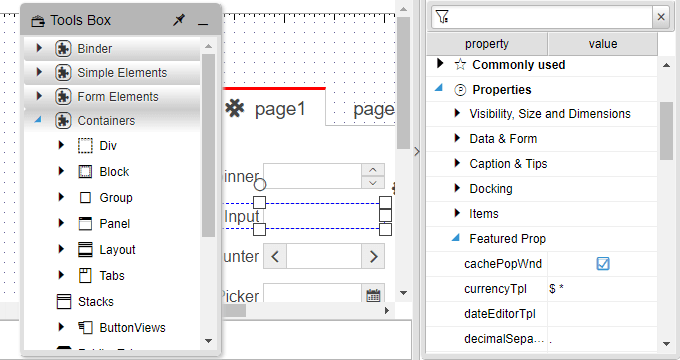 - Embed the WYSIWYG designer, our designer product, into the application you already have. 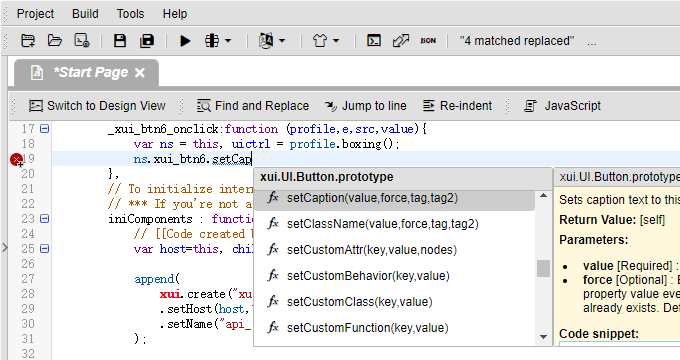 The exported APIs and Events offer customization flexibility to developers. Create an app without coding to quickly get custom solutions to your business needs. According to a Quick Base report, no code app builders can help save money, increase productivity, and work efficiency. 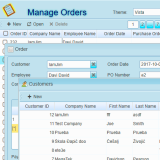 Use CrossUI to save time and remain 100% focused on your business. It is especially beneficial for small businesses that don’t require complex solutions. 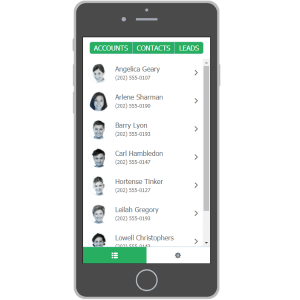 If you need to organize inventory information, keep track of your business contacts, manage customer data, you can do it with an app, developed with an app builder specifically for your case. 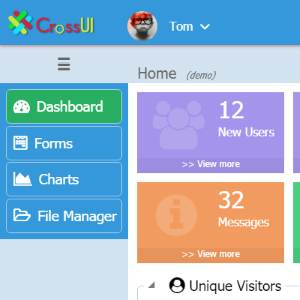 CrossUI front-end builder has a user-friendly dashboard and admin panel that make updates a breeze. 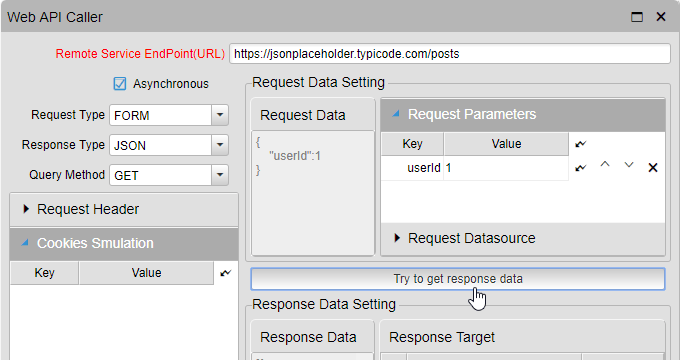 You can entirely customize your application's behavior without writing code. 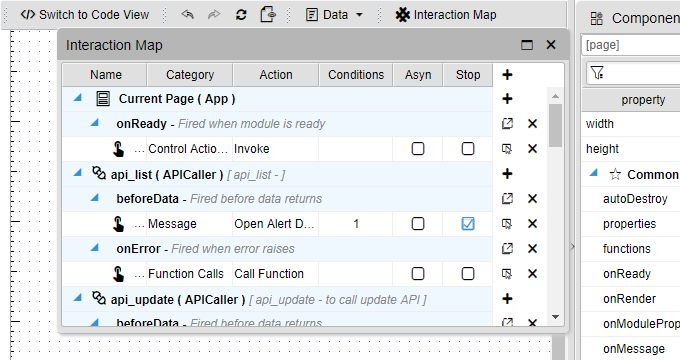 Its API tools allow connecting apps to your own back-end software. The library of pre-built application elements reduce development time and accelerate production. 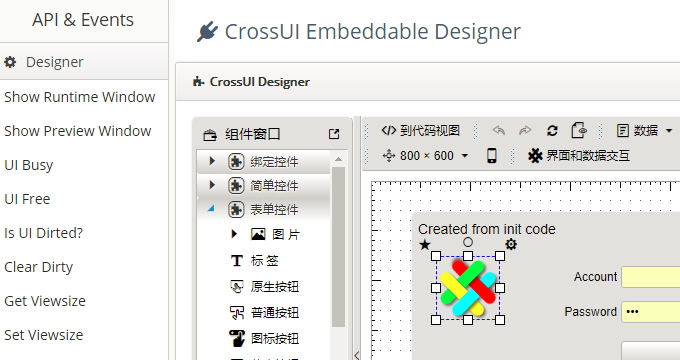 CrossUI builder can be used for commercial projects as well as non-profit ones. If you are a student who wants to learn how to create an app with no coding, or if you have personal, not-for-profit projects, we can offer you a license at a special price. Check out our prices on the Purchase page. Keep in mind, that each license is bound to one PC only. If you are interested in reselling our products, please contact our sales department. 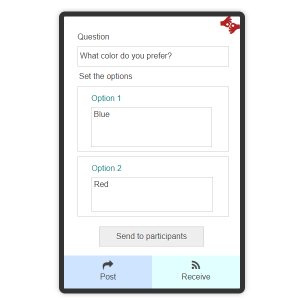 Build an app without code which is powerful enough to support your most ambitious ideas!